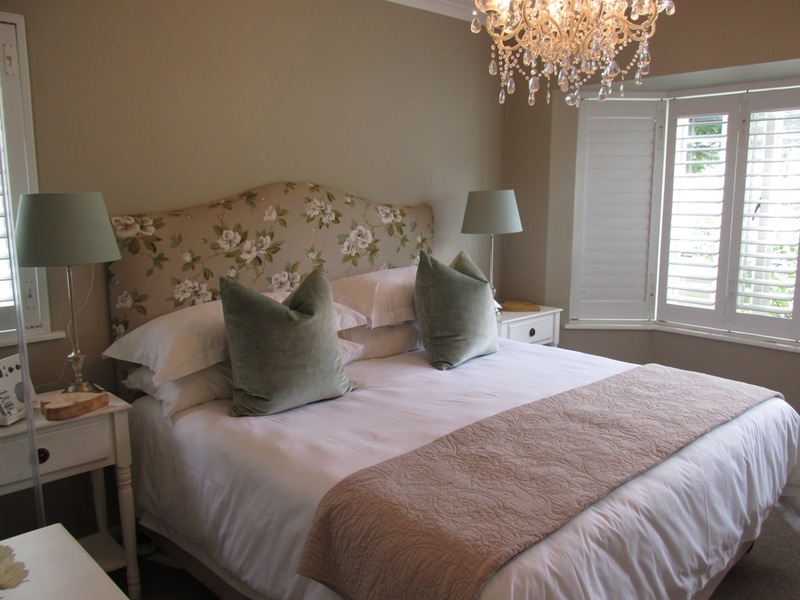 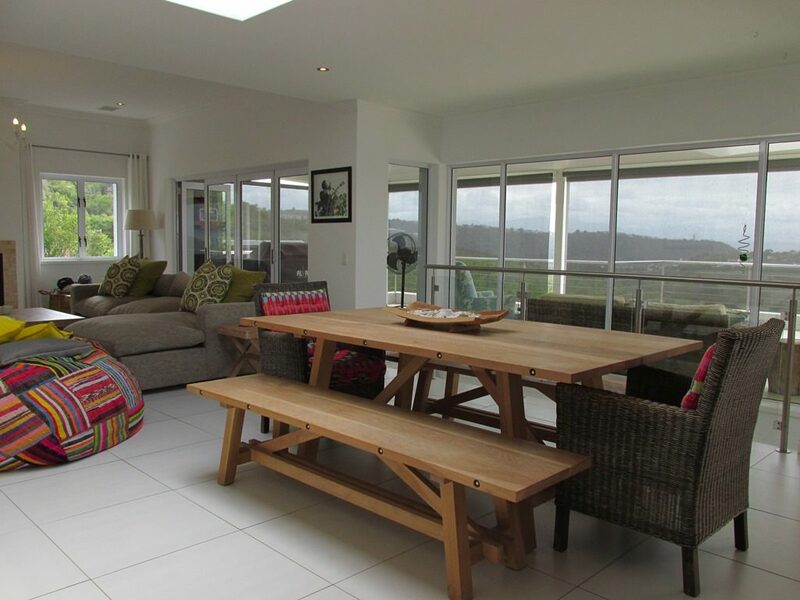 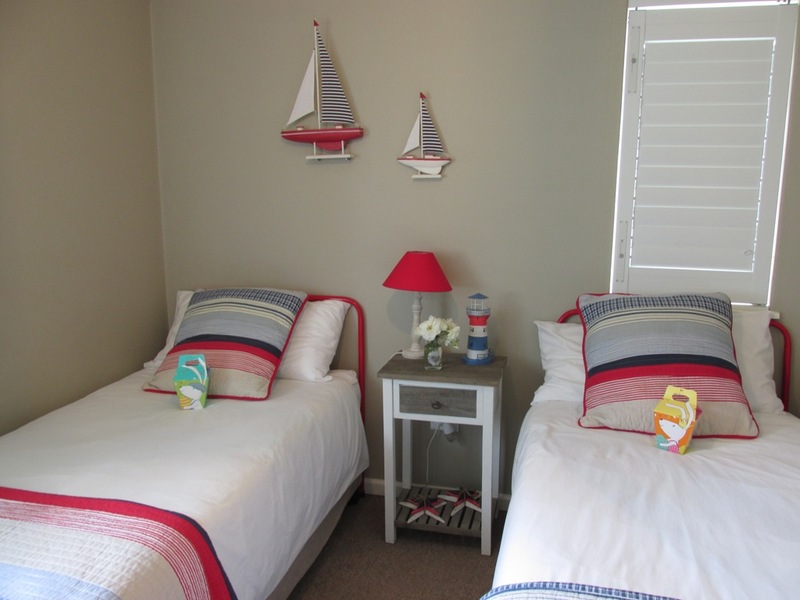 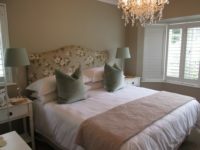 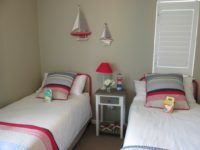 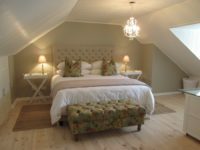 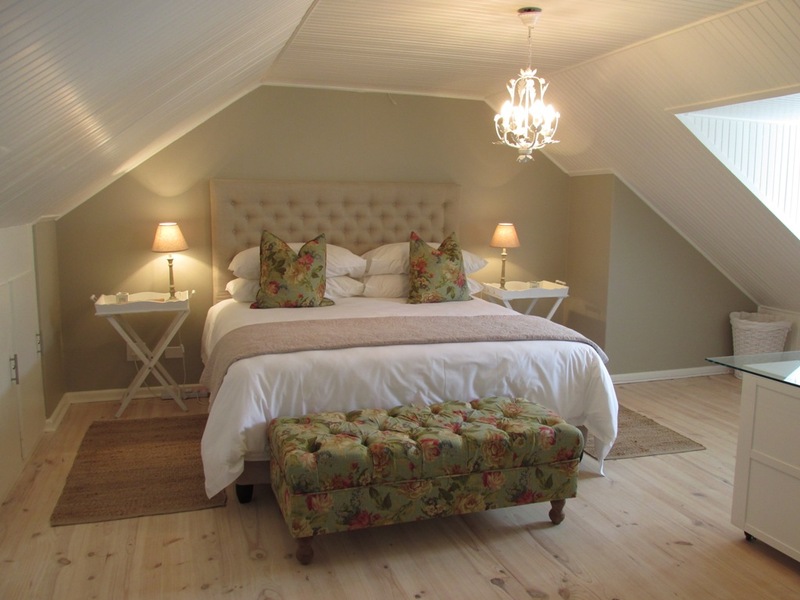 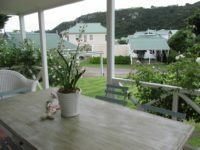 3 Bedrooms/2 Bathrooms + loft room– SLEEPS 6-8. 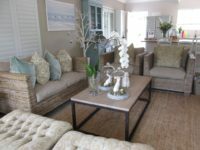 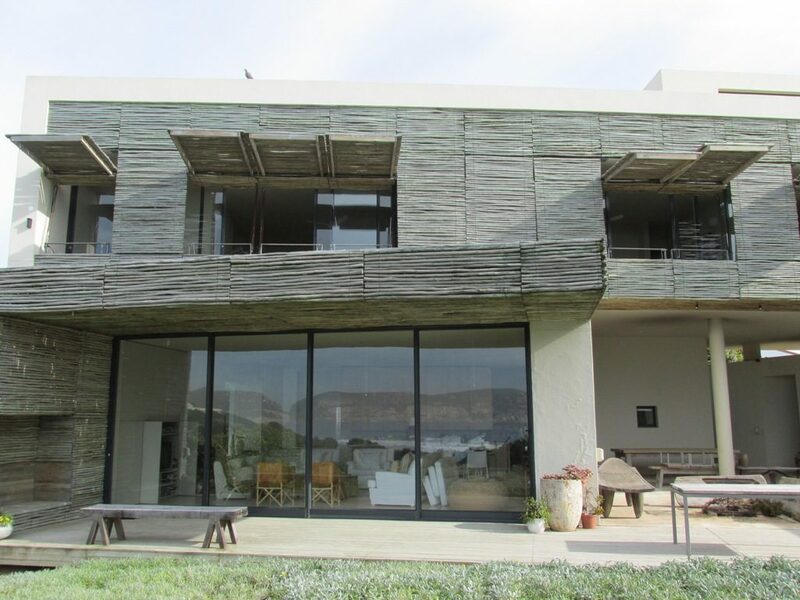 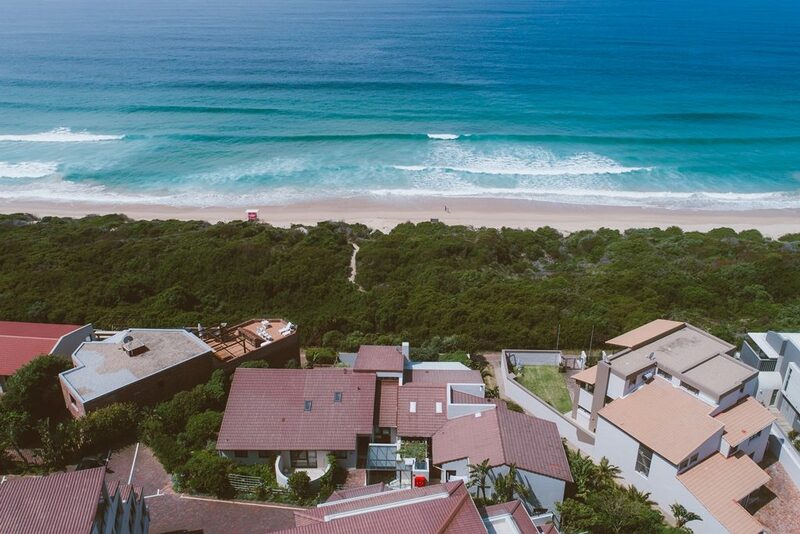 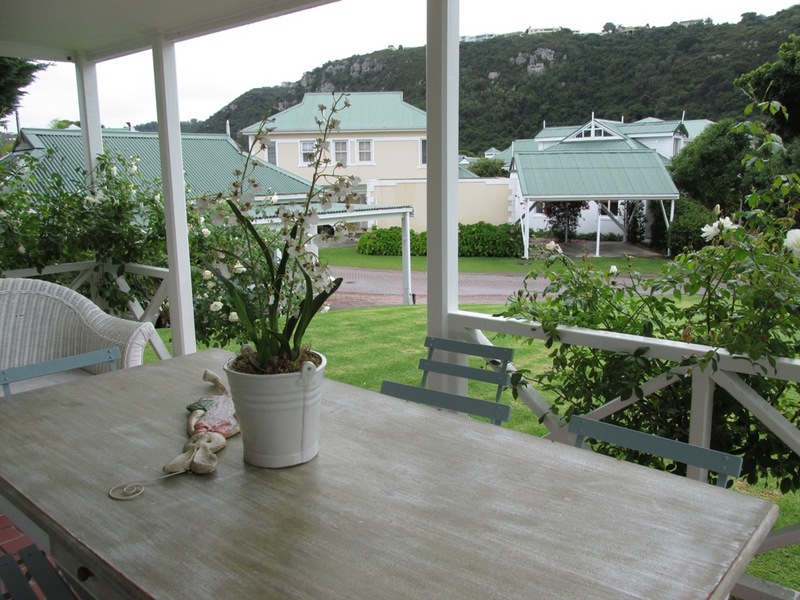 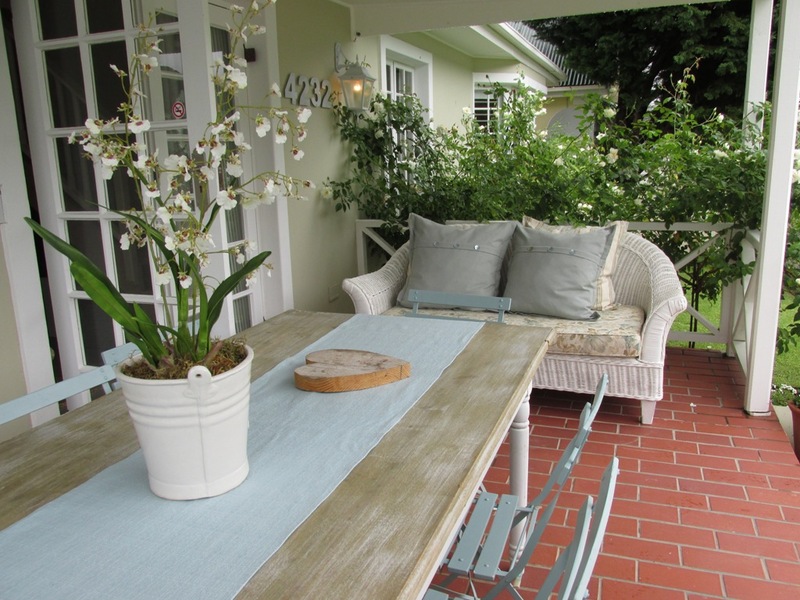 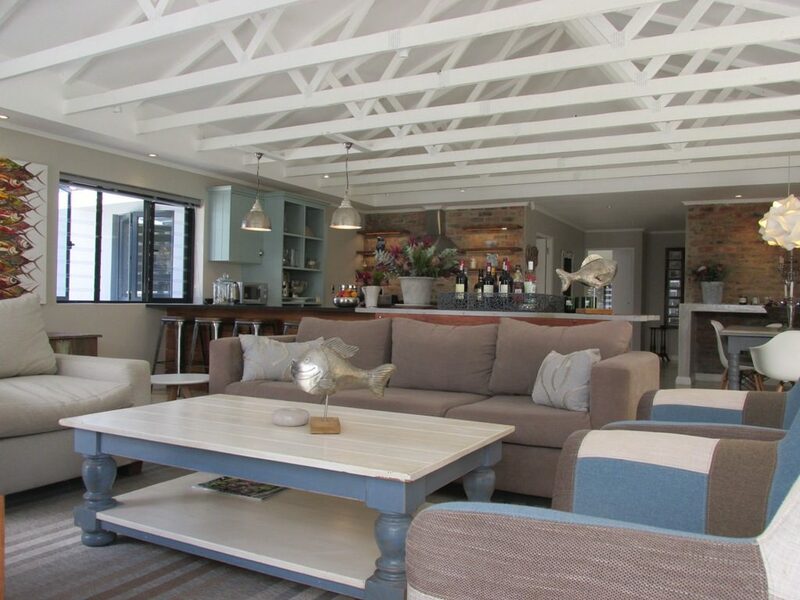 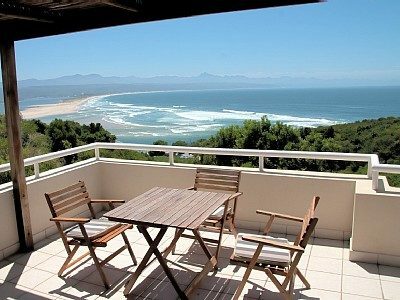 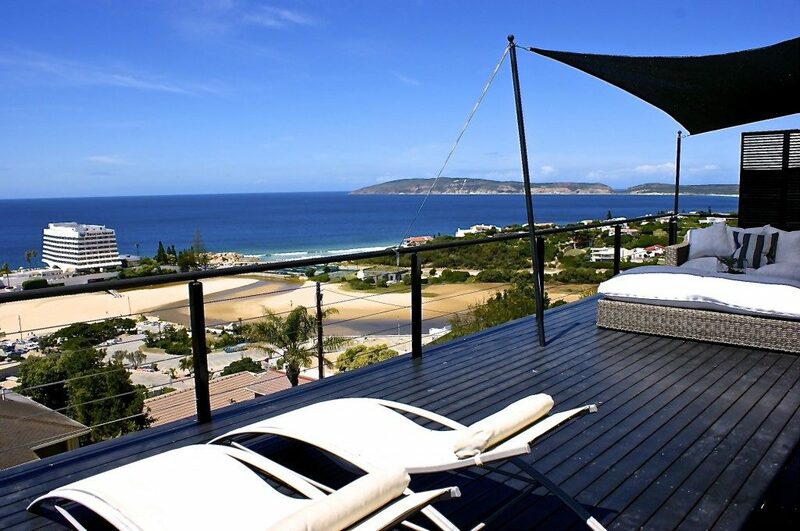 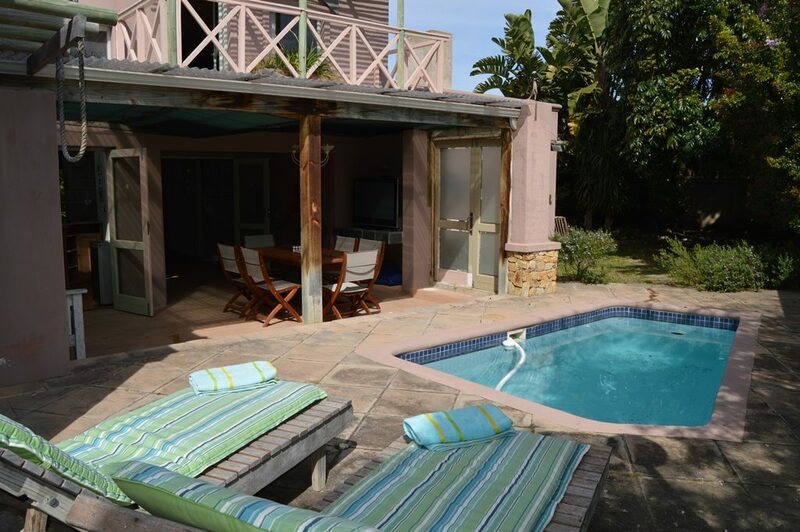 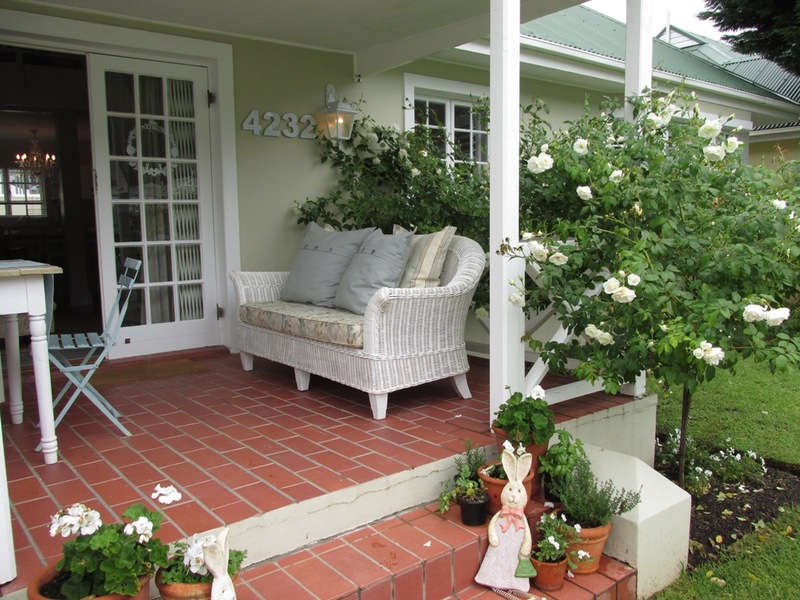 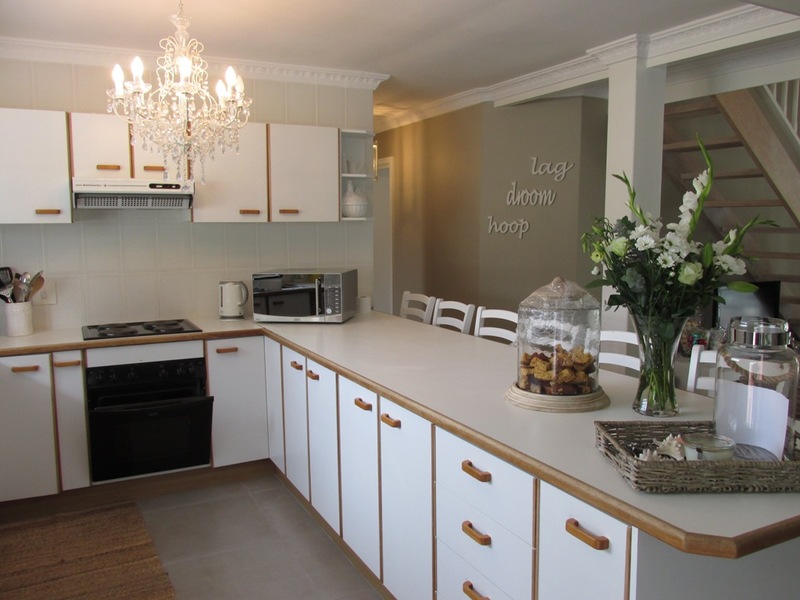 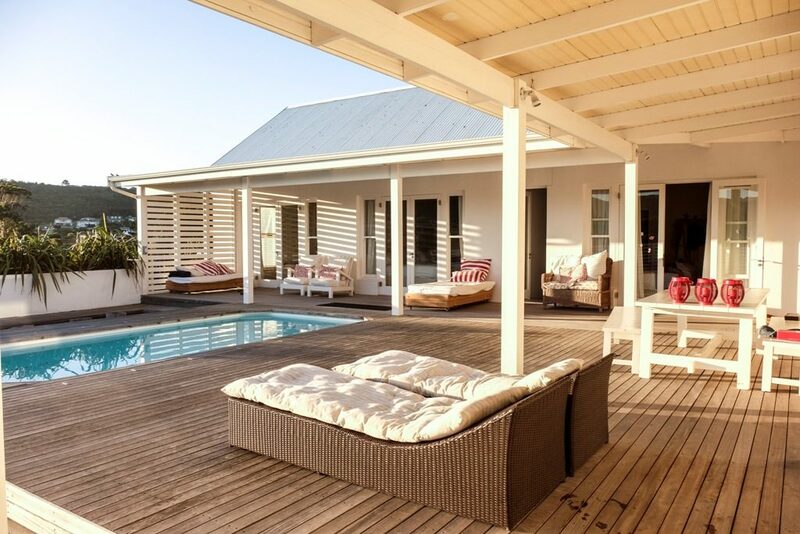 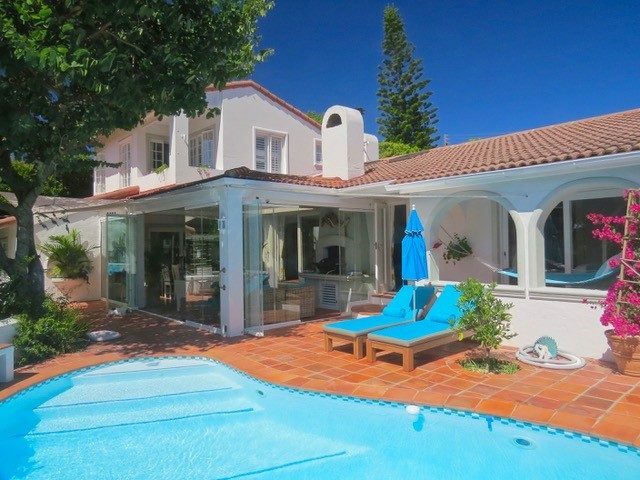 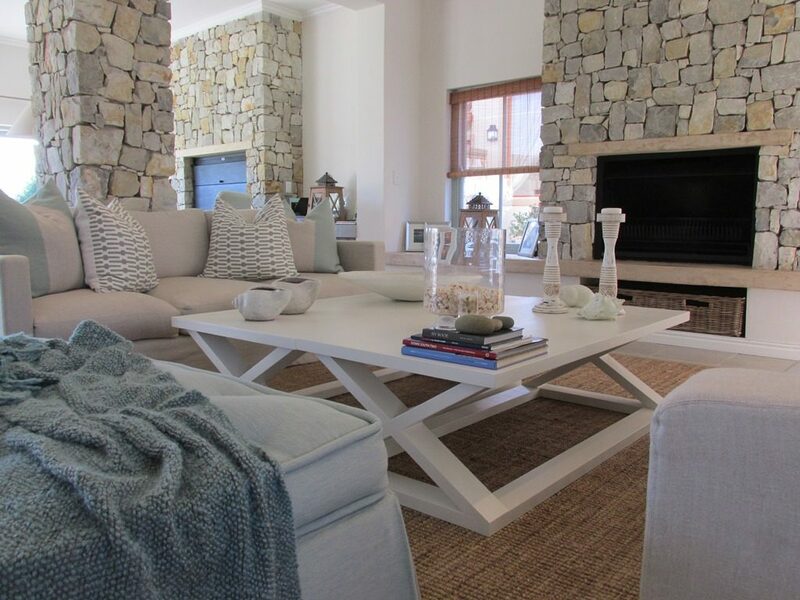 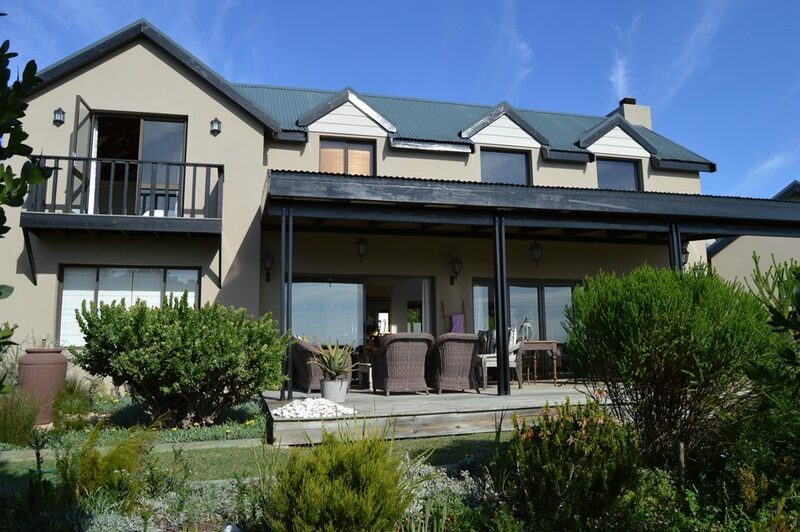 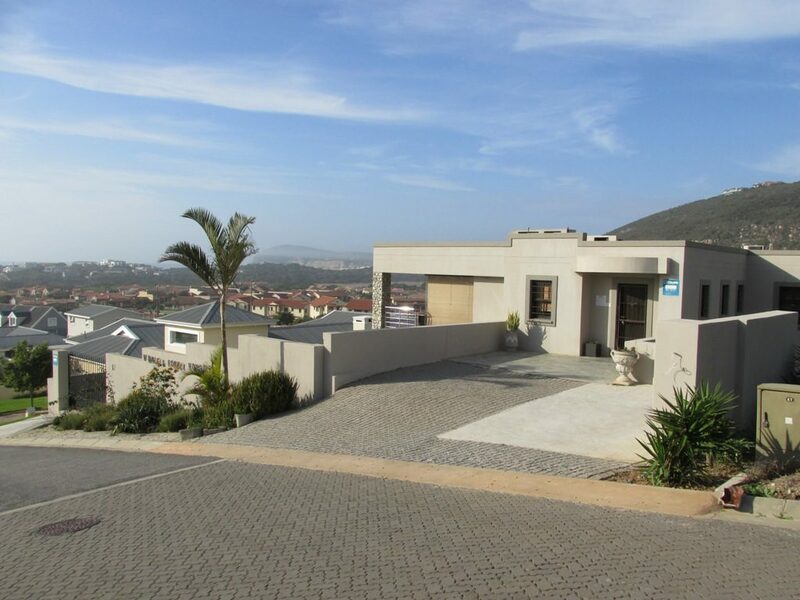 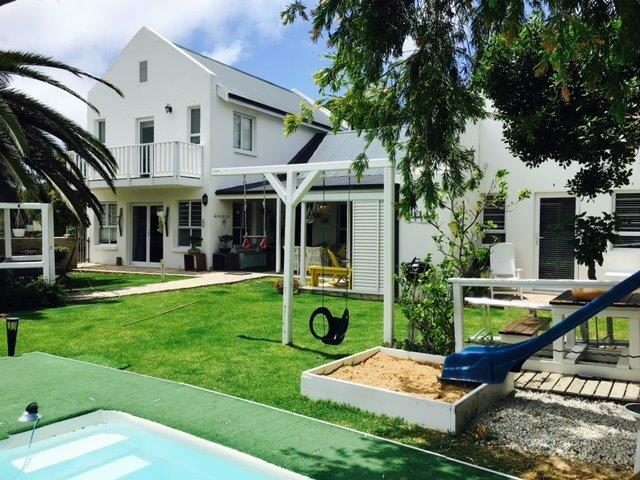 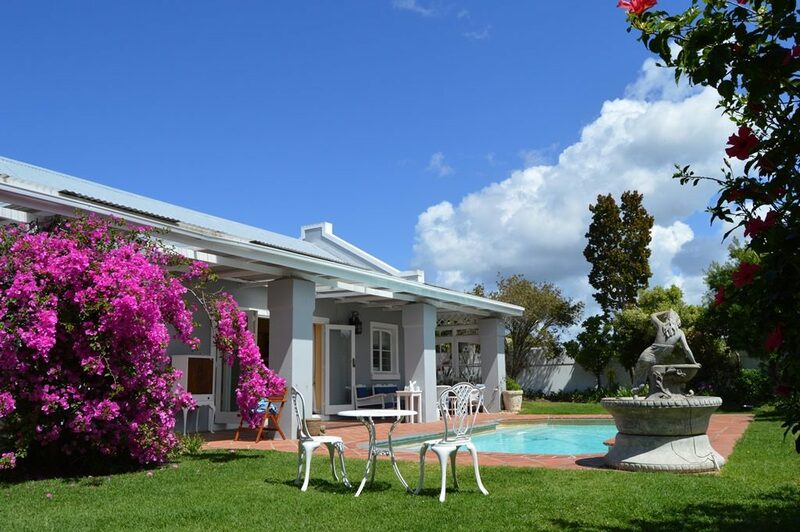 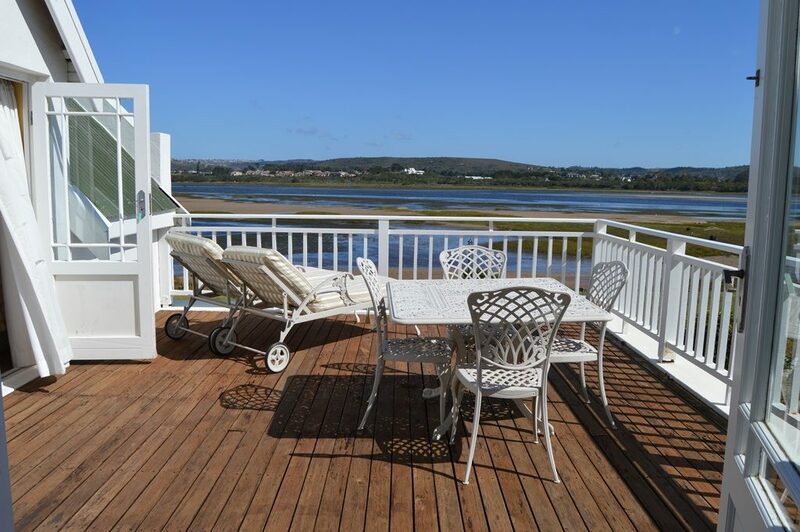 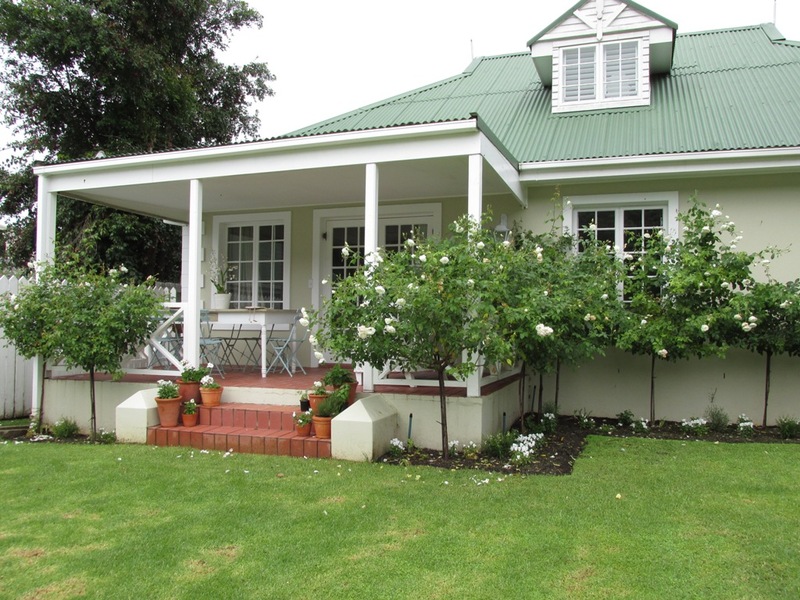 Upmarket home in the popular River Club – within walking distance to both Central Beach and Robberg Beach. 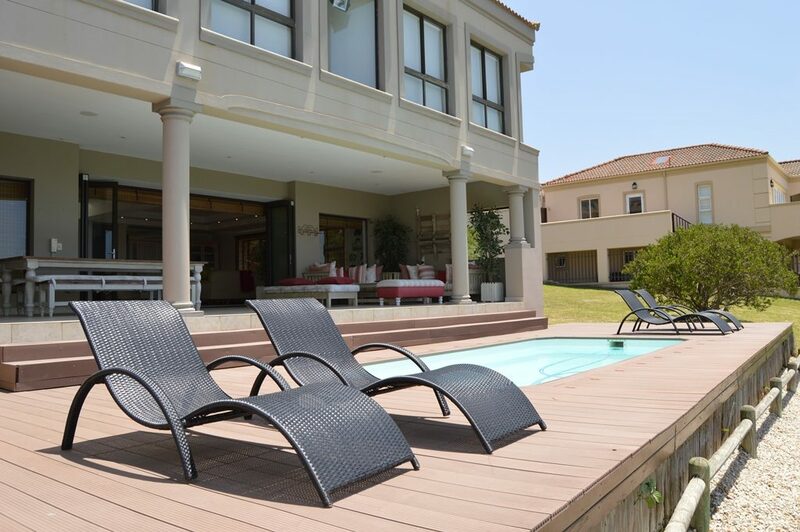 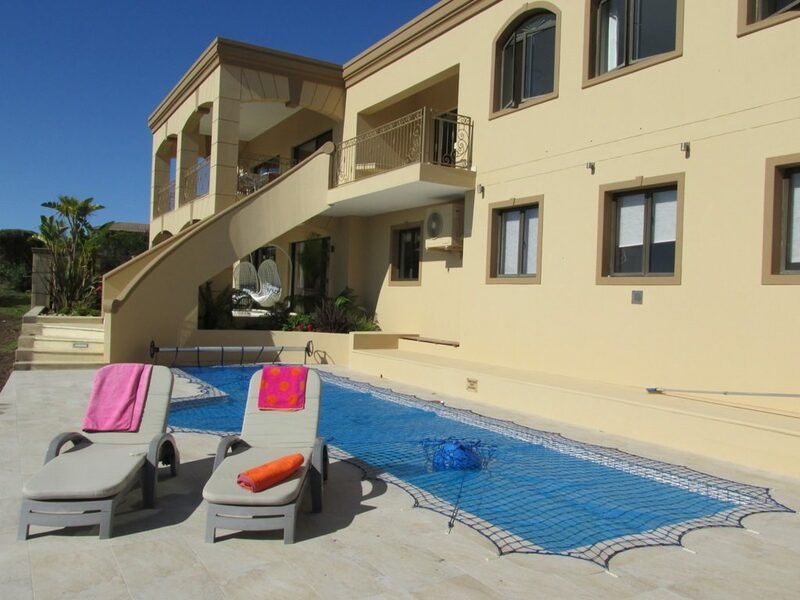 Complex offers swimming pool, tennis and squash court, well maintained gardens conveniently within walking distance of mini-supermarket, garage, restaurants and pharmacy. Suited to one family. Entrance into open plan lounge (with TV) and kitchen – kitchen ledge seating 6 and well equipped kitchen with separate scullery. 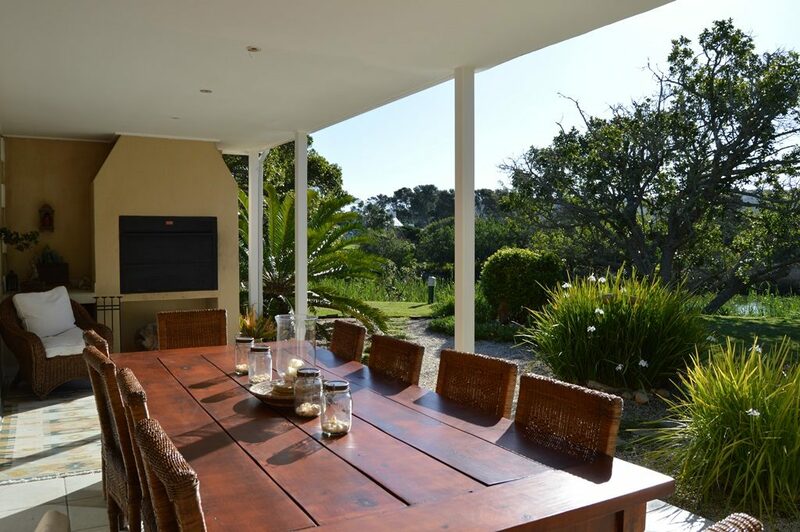 There is no indoor dining table. 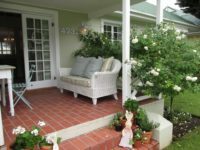 Doors lead from lounge/dining onto the covered patio with weber braai & patio furniture (table seating 8) overlooking the garden. 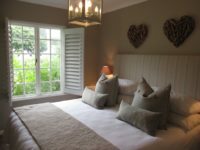 All bedroom windows have louvre windows. 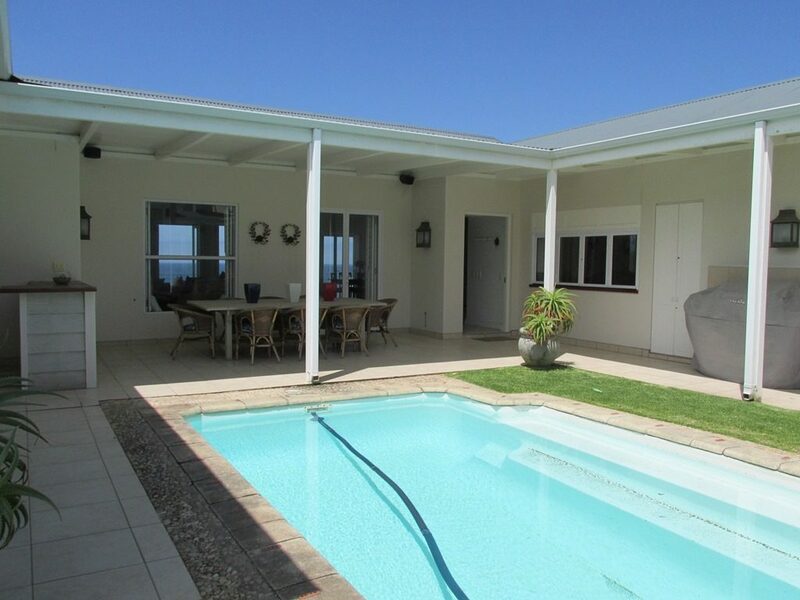 Family Bathroom: Toilet, Bath and Shower. 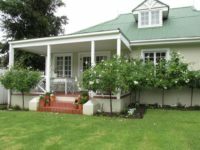 This property has no alarm system. 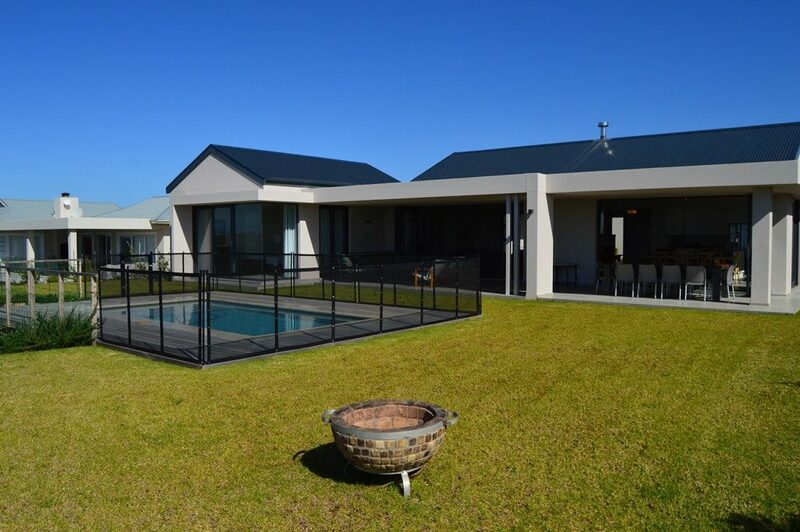 Equipped with washing machine, tumble dryer, dishwasher, microwave, fridge & freezer.